The failure of the Executive Presidential System and the chaos it can bring has been dramatically demonstrated in a different manner over the Sirisena-Mahinda attempted coup that took place recently. 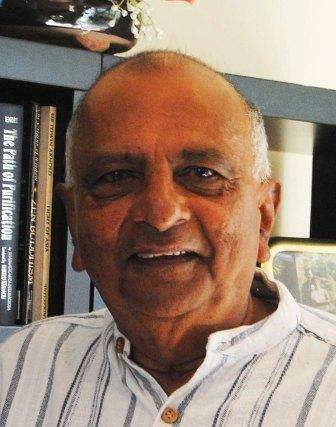 Previously, Sri Lankans observed a different kind of failure in this institution, namely, failure due to the abuse of power that a constitutional arrangement which concentrates so much power in one individual can bring. What I am going to refer to here is a third kind of failure and this is the potentiality for dysfunctional instability, which that constitution can bring. 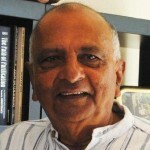 Thus we observe three kinds of failure in the Executive Presidential system that was brought in by former President JR Jayewardene-the first incumbent of that exalted chair- power abuse, failure when the President and Prime Minister gets locked in conflict, and chronic dysfunction within the parliamentary party in power. Actually, the third type came into work only after the 19th Amendment that limits cabinet to thirty members. Previously, there was no such limit. JR consciously and on his own will avoided making up a large cabinet. On the other hand, Mahinda utlised the opportunity to compose as large a cabinet as possible to satisfy the cravings of our individual MPs. Keep everybody happy. It became happier when the former President turned a blind eye to the serial corrupt practices of his men. The social and cultural reality is that Sri Lankans are a status-craving population. The Sinhala word for status is “thathvaya.” From village level ordinary teachers want to become a headmaster or deputy; or even head of section may sometimes suffice. The government clerk has thathvaya; hence rural people prefer their children becoming clerks rather than turning into more profitable and useful business entrepreneurs. This is one reason why government offices have become favorite locales for giving employment. If a child becomes a medical doctor or administrative official – or ajantha thuma in the old Kachcheri- dominant era, the family gains thathvaya. Parents are identified as father or mother of so and so who has thathvaya. Caste became so important mainly because of thathvaya. A guy who has money or who owns a shop is a mere ‘mudalali mahattaya.’ The latter didn’t enjoy so much of thathvaya but villagers respected the mudalali because of the latter’s money power. In turn, the mudalali tried to gain thaththvaya by wearing a coat. In time to come, the moneyed classes who did not generally have status gave their daughters in marriage to a government servant who did have all the thaththvaya and the government servant, who was broke those days as now he is, gladly obliged, snatched the daughter with the dowry. The young man becomes a status -giver thathva daanapathiya to a status-less family. He is a poor God- though a statusgiver. The Member of Parliament and Minister were soon added into the pantheon of status- gods. This is why he insists on a fleet of cars and jeeps and a security ring even in circumstance where nobody will want to waste a bullet on the wretched fellow. Manthreethuma is the new god. The crucial thing is that he must be on the governing side. Hence, we have the jumping culture among politicians of our country. MPs do possess the wherewithal and the power to give and to take. They press their leaders to give them more and more such power. Now, just take a look at the MP from Putalum – Range Bandra. At a meeting a few days, ago he is reported as having said that he is disappointed he did not get a cabinet portfolio and that he will shortly take a decision with regard to that human rights denial. Yes, indeed, becoming a Minster is a fundamental human right for our MPs today. The UN will have to revise its list of human rights after such developments. Ironically, our political leaders have adopted the practice of seeking courts intervention against a legally-immune President by claiming human rights denials and they file action against the state represented by the Attorney General. Now, that is an entirely different kettle of fish. The most ingenious concept formulated by Mahinda Rajapaksa was that of the barber salon. The traditional barber saloon has a swing door through which any customer swings in freely and swings out when he wants to. Mahinda Rajapaksa said famously that as far as he is concerned, his government club was like a barber salon where MPs can go out and return as they wished. They go onto the opposition side and that is allowed. They come back to him and that, too, is allowed. He will, in fact have no objection in giving them a portfolio upon their return. To Mahinda, there was no legal hindrance about cabinet numbers. Did he not go to town then? Rationality issues in allocation didn’t concern Mahinda; ballooning public expenditure and fiscal imbalances didn’t. It was hard to find any of his MPs sans a portfolio. This is also how the free car permit system became such a ridiculous and extravagant practice. When a MP gets a portfolio, he gets duty free car permits and government-payed fuel. They could go for any joy ride of their choice- gedara yana gaman or otherwise. The portfolio and the cars became a full package of thathvaya. If he gets an overseas trip that is compounded thathvaya. I pity Prime Minister Ranil Wickremesinghe for having to confront such momentous status issues among his men in addition to the problems he has with the crazy president. Under the 19th Amendment brought in by yahapalanaya in accordance with the goal of yahapalanaya, the number of cabinet Ministers became fixed at thirty. How is he going to keep his men solidly behind him? How is he and the party hierarchy going to prevent fractionalisation and break away? ‘There is also the ever present danger of a section within the government forming a faction with a power broker. An impatient but ambitious MP or Minister, I am told, is trying to re-group wuth his own faction. The objective is to develop a new power center within the United National Party. In such circumstances, making decisions about a Presidential candidate or Prime Ministerial candidate is fraught with much political danger. The UNP leader and party hierarchy has to be on alert and turn their radars on this man. It is clear from the above that we need a drastic overhaul of our constitution. That is a survival necessity for Sri Lanka. But how? When a 2/3 majority is needed? This is where a bipartisan decision must be agreed upon for no future government can perform under the current status of affairs.